<spanclass=”instruction”>To create your Asiago Breakfast Sandwich, start cooking the two eggs (beaten) and the bacon strips. While they are on the stove, start cutting the spinach and dicing the tomatoes and prepare your cheese as your topping. 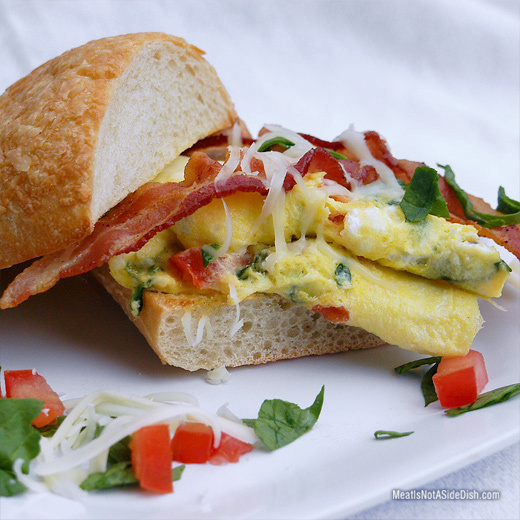 Once your eggs and bacon are done, place your ingredients on a asiago ciabatta roll.